I have worn glasses pretty much my whole life. I believe I was in the 5th grade when I got my first pair of glasses and I've had countless pairs since then from designer frames to some that I really wonder what I was thinking when I picked them out. I blame the fact that they usually dilate your eyes before you pick out your glasses for the horrible ones but we won't get into that! Please tell me I'm not the only one who's had this problem!? Unfortunately I was never one of those people who could wear contacts either so every time I was set to get a new pair of lenses I was always getting a new pair of frames to go with them. Then a few years ago I decided to get Lasik but some days I still can't shake the habit of attempting to push my glasses back up or reach for them in the morning. I guess almost 15 years of the same thing every day will do that to you! Occasionally I miss my glasses, and not for the lack of having 20/15 vision but because the right pair of frames is like an accessory to an outfit. It can change up your whole look. 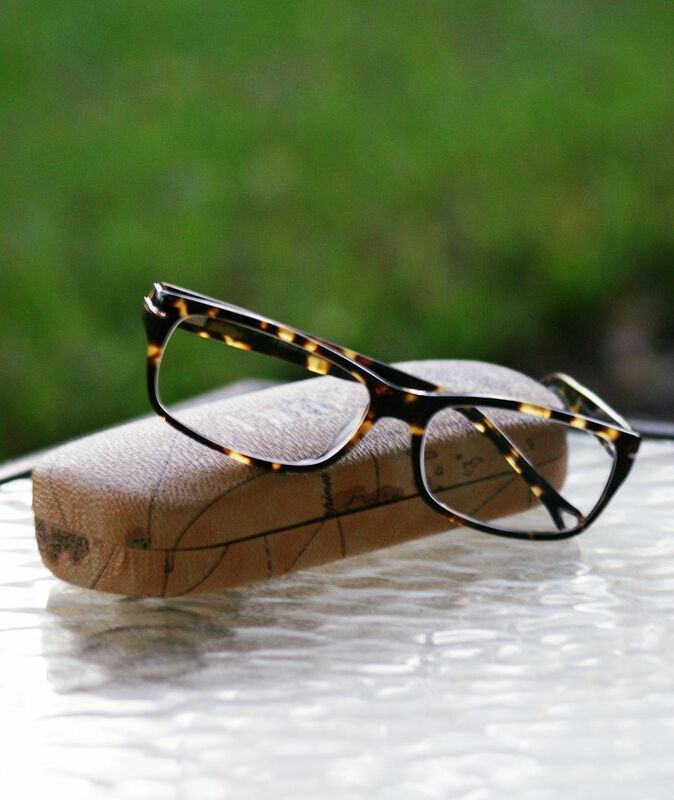 So when Firmoo reached out to me and asked me to do review of the lenses of my choice from their website I was actually pretty excited to get a pair of frames I could accessorize with. While it may seem kind of silly to want to accessorize with something I voluntarily no longer have it's like chopping off your hair, you get used to it and know how to style it and then when it's gone even if you love it now you still miss it occasionally. If you're ever looking for a cute pair of glasses Firmoo definitely has a great selection and great prices... even if you just want them as a fun accessory! I love the ones you got!!! 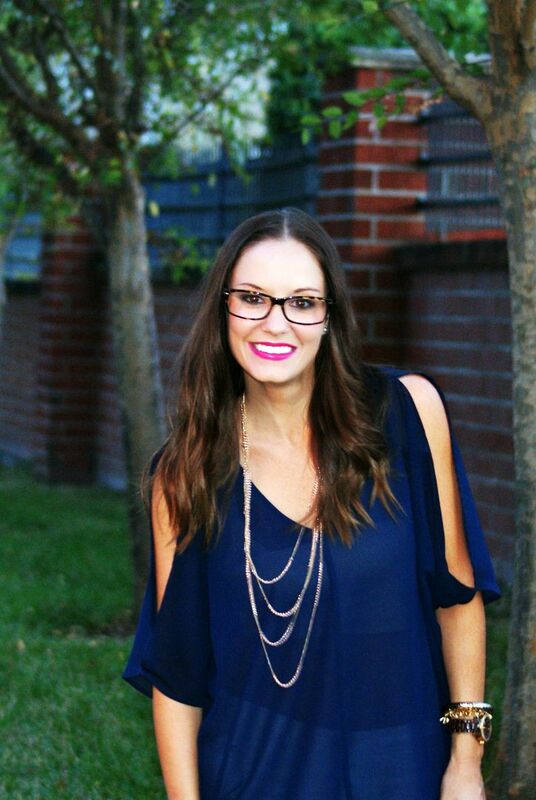 You look great in glasses and they really are the best easy accessory!! Great choice! I was super impressed with their wide selection of frames! 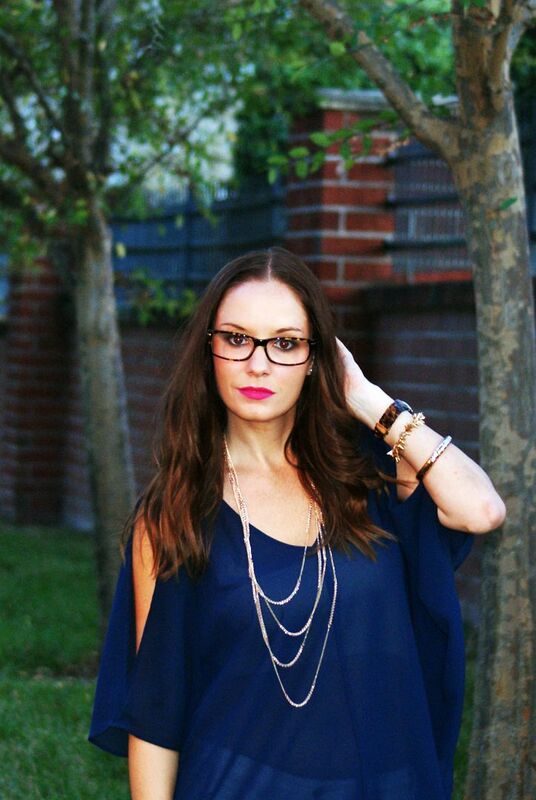 These tortoise shell glasses and your lip color are perfect on you! They look fabulous on you! And loving that blue top too of course... gorgeous! super cute! i hate when they dilate the eyes and make you pick out glasses. so difficult when you cant even see your face! I love the ones that you got! I was looking for a tortoise shell pair but couldn't find one in the style that I was looking at. I'll be reviewing mine soon, too. :) Love your outfit, as well! Love those frames!! Still waiting on mine to come in. And I hope to get Lasik one day (when I get a job)… I just want to wake up in the mornings and see! Cute glasses! They look awesome on you!! Biana's post yesterday reminded me to order my pair for review... I ended up getting sunglasses because I've never worn glasses before, and had no idea where to even begin with picking a pair. Even though yours are just an accessory now, they really are so stinking cute! You had me at tortoise. These look great on you! I love those frames and they look great on you!! This is such a cute post, and can I just say that you're adorable in frames! I was one of those weird kids who didn't wear glasses but desperately wanted to. I love their accessorizing potential! I am constantly on the hunt for the perfect pair of glasses, but have yet to find them. I just put my contacts in first thing in the morning because I hate my glasses. Yours are so cute, I hope I find a pair that I like soon! These look awesome on you!! I have a pair of Firmoo glasses on the way and now I'm even more excited for them to arrive! Happy Thanksgiving!! Love the ones you picked, they look great on you! Happy Thanksgiving! You look so cute in those. I've never had to wear glasses but I feel like the older I get, the more likely it is that I will have to get some! Super cute!! Love the lenses! They look cute with the blue top too! Love the ones you chose! You look great, girl! Happy almost Thanksgiving! CUTE!! and your hair is getting long again so quickly! Omgsh you look totally adorable in these glasses!! I just got a pair from them--and I am seriously in love :) I am blind as a bat tho and am totally jealous you got Lasik--its on my bucket list! The new frames look great! 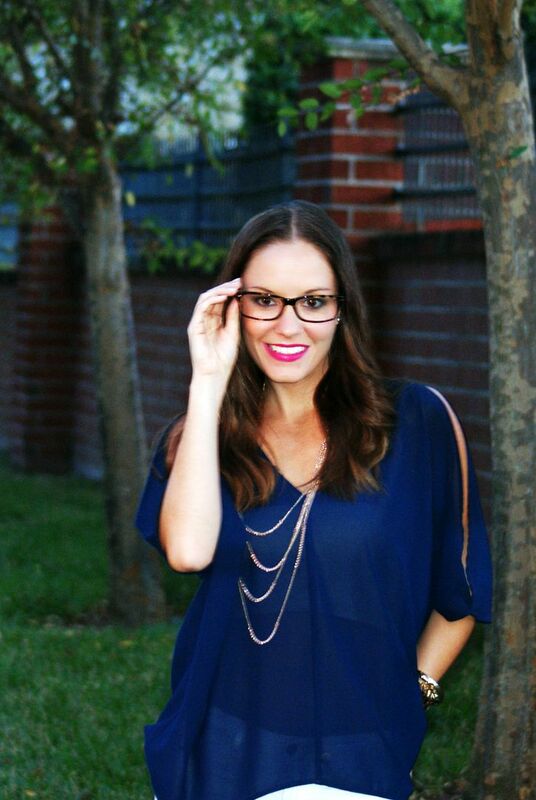 Love that navy top on you, too! Those look so great on you!!!! Totally love the lip color too! Those are so chic! They look lovely on you! glasses can transform any look and i love the ones on you!! i think i have those! love them! These look adorable on you! You totally rock these glasses! um glasses look amazing on you. for realsies. Glasses look amazing on yoU!!! :) I definitely can't do contacts either!